Our partnership with Anomali enables our customers to easily unite threat intelligence with their own data stored in the Sqrrl threat hunting platform. 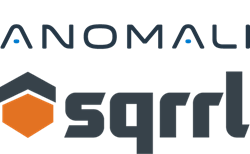 Today, Sqrrl announced its partnership with Anomali, a leading threat intelligence provider, to enable organizations to more effectively and efficiently detect, investigate, and respond to advanced cyber threats. Through this partnership, Sqrrl has integrated Anomali’s threat intelligence feeds into Sqrrl’s threat hunting platform to provide security analysts with the ability to seamlessly pivot across network, identity, endpoint, and threat intelligence datasets. The integrated Sqrrl / Anomali solution is available for customer engagements, including demonstrations, proofs of concept, and production deployments. For more information, contact info@sqrrl.com. Sqrrl is the security analytics company that enables organizations to target, hunt, and disrupt advanced cyber threats. Sqrrl’s industry-leading threat detection and response platform unites threat hunting, behavioral analytics, and incident investigation capabilities in an integrated solution. Sqrrl’s unique platform approach enables security analysts to discover threats faster and reduces the time and resources required to investigate them. Learn more at Sqrrl.com.